In the growing and dynamic economy of nineteenth-century America, businesses sold vast quantities of goods to one another, mostly on credit. This book explains how business people solved the problem of whom to trust—how they determined who was deserving of credit, and for how much. In the process, a business system based largely on information circulating through personal networks became dependent on more formalized methods and institutions. First to appear in the 1830s was the credit reporting agency, whose pioneers included the abolitionist Lewis Tappan, and businessmen John Bradstreet and Robert G. Dun (whose firms merged in 1933 to form Dun & Bradstreet). Later, groups of business creditors formed interchanges and bureaus to share information on their customers’ payment records. In 1896, the National Association of Credit Men was established, and by 1920, credit men had established both a national credit information clearinghouse and a bureau for American exporters. These developments forced American businesses, large and small, to make their financial situations more transparent to creditors and credit reporting firms. 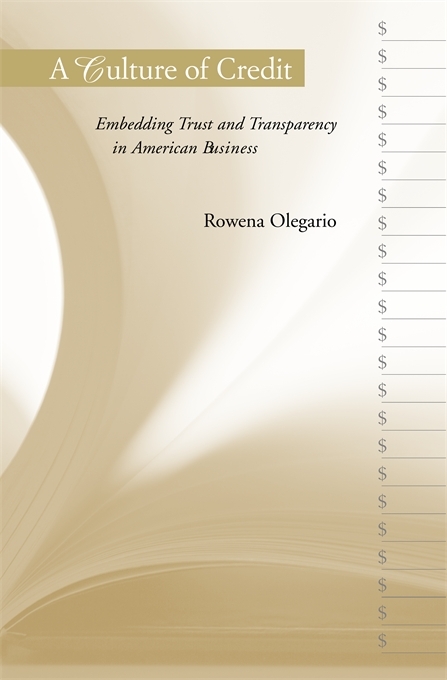 Rowena Olegario traces the way resistance, mutual suspicion, skepticism, and legal challenges were overcome in the relentless quest to make information on business borrowers more accurate and available.